I love my kitchen garden so much and I wonder sometimes if you relate me to it and can imagine me working in it … it is true that all these flowers and herbs and veges and roses are my closest friends. The Reeds had a particular interest in healthy eating and their diet emphasised vegetables and fruit straight from the garden to the table. They grew a remarkable range of produce in both of their kitchen gardens and in the orchard at the front of the original farmhouse — Hide I, which they established before they even settled on the property with the intention that it would provide their own domestic food supplies (Harding & Morgan, 2010). 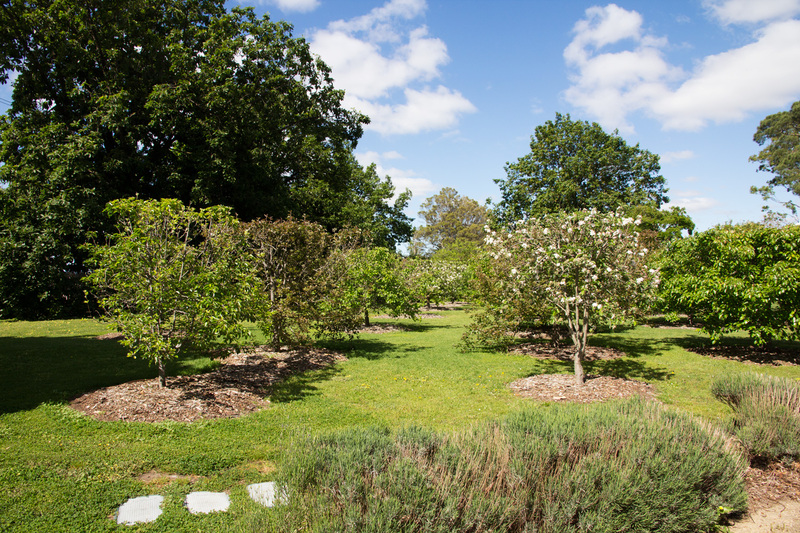 The Heide kitchen gardens combine an aesthetic and practical focus and are till this day fully operational, with seasonal produce being used by the Heide café. 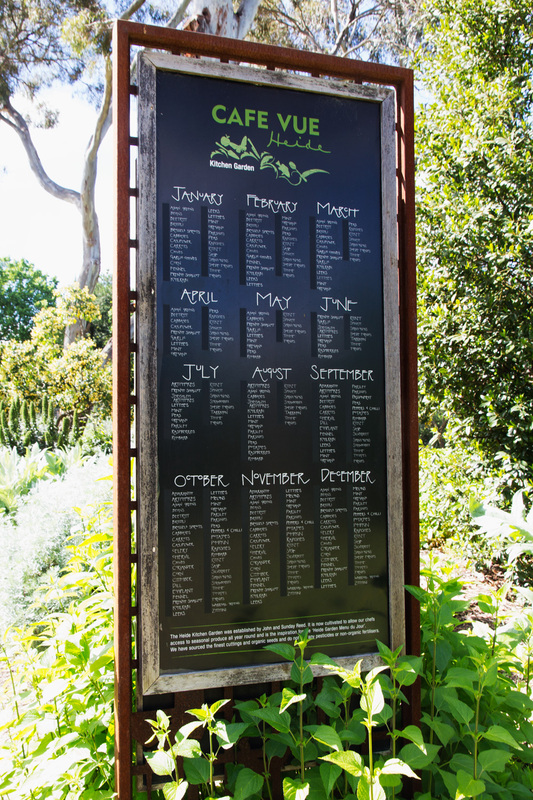 Along with the Reed’s original concepts for sustainable living, much of the groundwork for the kitchen gardens can be attributed to artist and conservationist Neil Douglas. Douglas helped source, plant and cultivate the orchard, vegetables plots and flower beds, and with his guidance and inspiration the Reeds also acquired cows and chickens to complete their self-sufficiency (Harding & Morgan, 2010). 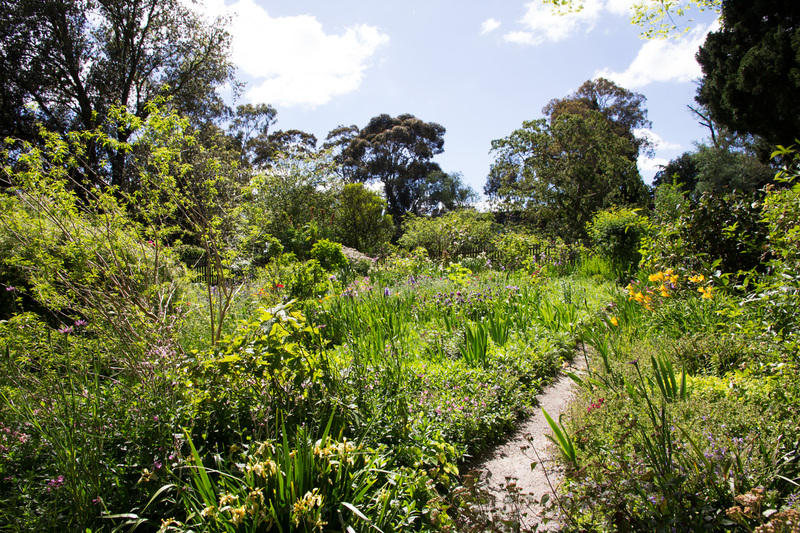 The gardens were fundamentally Sunday’s realm, with John more at home with wild nature and the long-term vision of transforming Heide into a tree-covered informal parkland. Amidst the rhythms of their daily life, they both arduously tended to the gardens with great love and care right into their old age (Harding & Morgan, 2010). Sunday maintained a strong pragmatism and therefore a focus on plans she could cook with such as peas, broadbeans, leeks, endives, potatoes, marrows, silverbeat, lettuce, herbs and strawberries, with the orchard successfully producing apples, plum, pears, apricots and nectarines. The Reeds also went to some effort to acquire seeds then not readily available in Australia, such as aubergine, fennel, sea kale, asparagus, endive and chervil (Harding & Morgan, 2010; Heide Museum of Modern Art, n.d.). 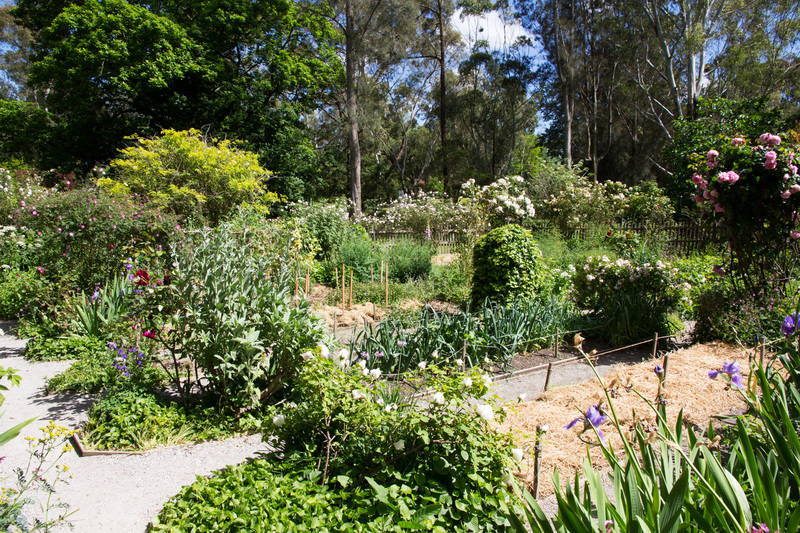 The Reeds established a second kitchen garden when they moved into their new house — Heide II, so that fresh vegetables would be always available close to home. When the garden was first established ‘it comprised a unique collection of older style roses, herbaceous perennials, culinary herbs, vegetables, shrubs and creepers. This is said to have been Sunday’s domain, ‘an enclosed, intimate domestic garden with a very personal quality’ (Harding & Morgan, 2010, p. 104). 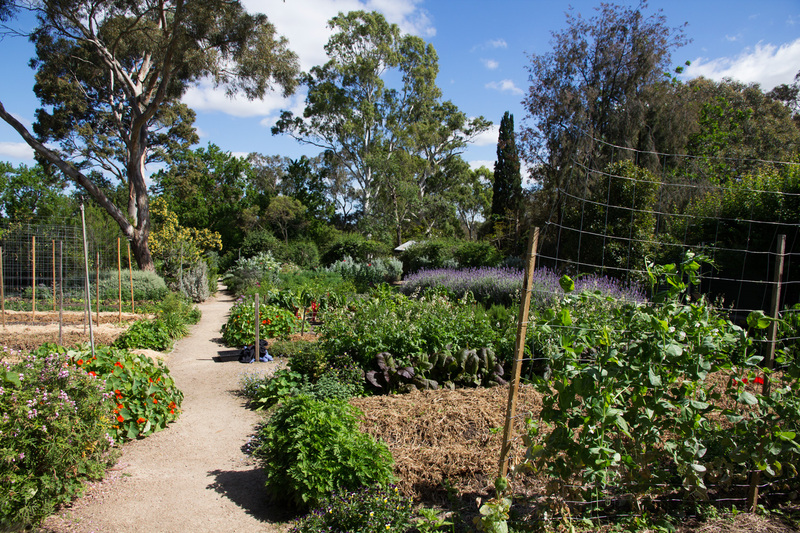 How can kitchen gardens contribute to sustainable living? Do you have a kitchen garden at home, school or in your community? What kinds of fruit or vegetables do you grow? If not, what is preventing you from setting up a kitchen garden and what changes would you have to make to establish one? How would having a kitchen garden at your home, school or community affect your life? What would be the benefits, or limitations?